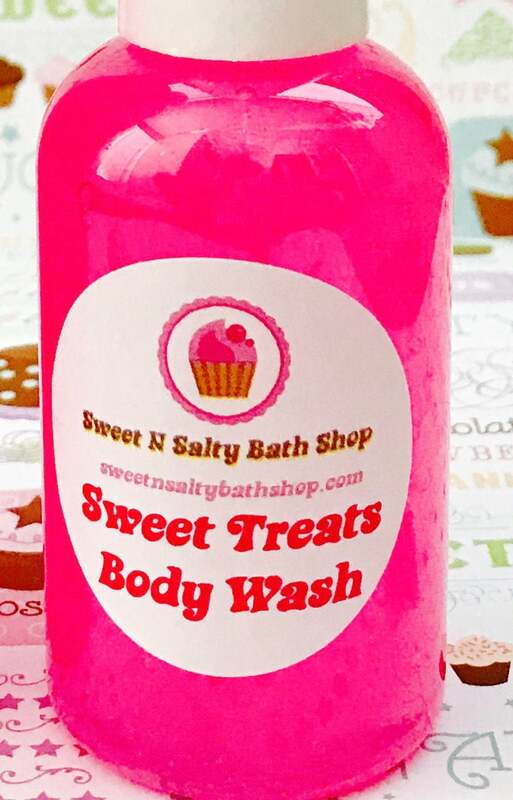 Bubblegum Sweet Treats Bath/Shower Body Wash-More Yummy Scents to Choose from!! These new colorful Sweet Treats scented moisturizing shower gel and body wash has tiny colored jojoba beads that gently exfoliates dry skin, leaving it feeling smooth, silky and nourished. It's like a dessert for your body without the calories! Listing is for one bottle of Bath & Body Wash in your choice of 4 or 8 oz. Each bottle comes wrapped in a cello bag and includes a ribbon bow. Perfect for gift giving! Colors are made to match scent unless requested otherwise. I also have 2 oz. party favor size available. Message me for quantity and pricing info. For External Use Only! Not recommended for children under three.